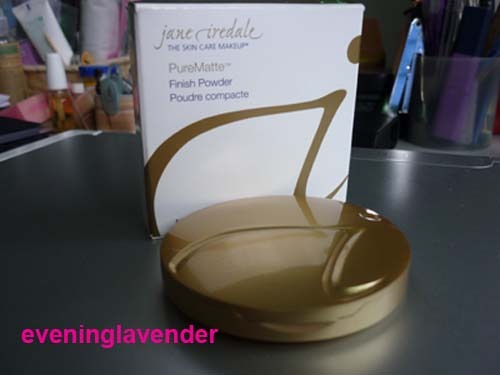 I have been using this Jane Iredale Pure MatteFinish Powder for a while and would like to share with you my thoughts. 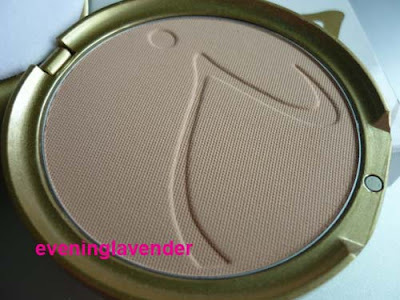 I first heard about Jane Iredale from a blogger in Netherland and the name intrigues me. I thought the name Jane Iredale sounds sophisticated and elegant. I still think that way today. I often imagine Jane Iredale as a beautiful lady, someone who looks like Audrey Hepburn of My Fair Lady! Early this year I attended a workshop and received a RM100 voucher to redeem any products from Jane Iredale. I was overjoyed. I topped up with RM59 and redeemed myself the Jane Iredale PureMatte Finish Powder and immediately start using it. Now I am half way through as I can see the pan now. What do I like about Jane Iredale PureMatte Finish Powder? 3. The packaging is so elegant (but a bit heavy). It has a magnetic casing and the refill is available at RM100. 1. It is a translucent powder, therefore don't expect any good coverage. I normally use it after my skincare. (I do not use any liquid foundation). For those who use liquid foundation, this will be perfect. 2. I think it is rather pricy but in this case the price comes with quality but it is not necessary so all the time. Specially formulated to help those who want to avoid shine. 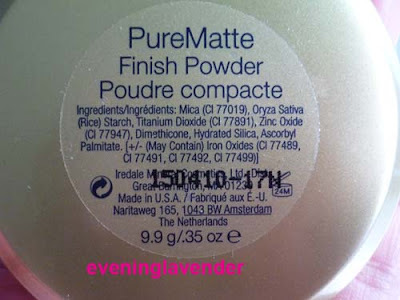 Use under or over mineral powders. Will I repurchase? Maybe, when I have the budget. Have you tried any of Jane Iredale's product before? Do share and have a happy week ahead. Do drop me an email yea!